Jack Hawkes | A balanced diet . . .
Just three decades after Spanish conquistador Francisco Pizarro first encountered the potato in the high Andes of Peru in 1532, the potato was already being grown in the Canary Islands. And it found its way to mainland Europe via the Canaries shortly afterwards . The first known published illustration of the potato in Gerard’s Herball of 1597. The potato was described by English herbalist John Gerard in his Herball published in 1597. In a revised version, published in 1633 over 20 years after his death, there is another beautiful woodcut of the potato, referred to Battata Virginiana or Virginian potatoes. Potatoes became an important crop by the late 18th century, and particularly the staple of Ireland’s impoverished citizens in the years leading up to the Irish Potato Famine of the mid-1840s. Today, potatoes are one of the world’s most important crops, grown in every continent except Antarctica. Known scientifically as Solanum tuberosum, it was given this name by the famous Swedish naturalist, Carl Linnaeus in his 1753 magnum opus, Species Plantarum. The potato and its wild relatives must be one of the most studied groups of crop plants. Not that I’m biased (having researched potatoes for more than 20 years). Its clear that there is a wealth of information about the diversity within the section of the genus Solanum that encompasses the potato. They have been studied extensively from a taxonomic point of view, breeding efforts worldwide have incorporated genes from many wild species to enhance productivity, and important germplasm collections were set up decades ago to preserve this important diversity, to study it, and use it in potato breeding. My former colleague (and fellow PhD student at Birmingham), Dr Zosimo Huaman, describes the management of CIP’s wild potato collection in Huancayo to members of the CGIAR’s Inter-Center Working Group on Genetic Resources who held their annual meeting at CIP in 1996.
the CGN Potato Collection (formerly the Dutch-German Potato Collection maintained at Braunschweig, Germany) at Wageningen, the Netherlands. The wild relatives of the potato have one of the broadest geographical and ecological ranges among species that have been domesticated for human consumption. 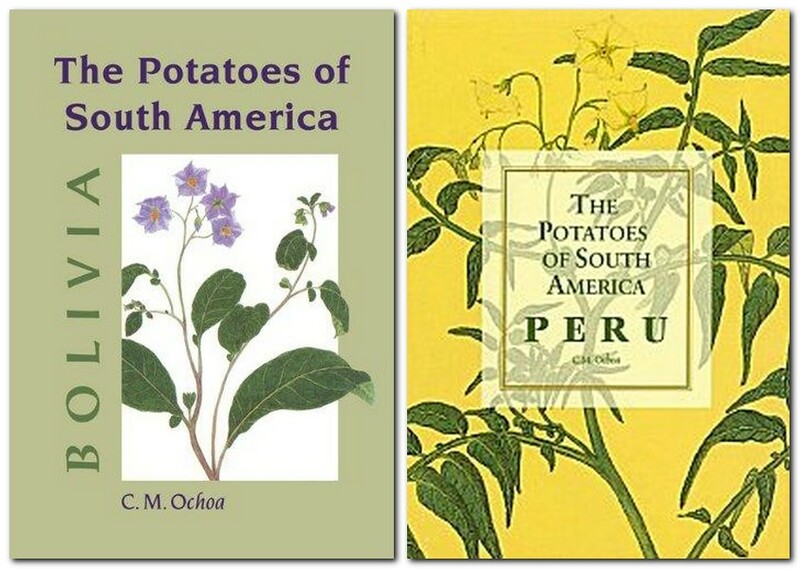 While the various forms of cultivated potatoes were domesticated in the Andes of Peru and Bolivia, and on the coast of Chile, the wild species are found from the southwest USA (in the coniferous forests of Arizona, for instance) through Mexico and the countries of Central America to Panama, along the Andes south to Chile and northern Argentina, and south and east on to the plains of Argentina, Brazil, Paraguay and Uruguay. Wild species are found in the coastal desert of Peru, in the cloud forests of central America to almost 3000 m, at the highest altitudes of the Andes, well over 4000 m, and also growing in the highly humid transition zone on the eastern side of the Andes dropping down to the lowland forests (known as the ‘eyebrow of the mountain’ or ceja de la montaña). Here is just a very small sample of the diversity—and beauty—of wild potato species (photos courtesy of my friends at the Commonwealth Potato Collection). How many potato species are there? Well, it depends, to some extent, on one’s perspectives as a taxonomist, use of different species concepts, and the methods used to study species diversity, and also on the work that earlier taxonomists published. Morphology: often based on the study of dried herbarium specimens collected in the wild. In the case of potatoes, this has led to the description of a multiplicity of species, with almost every variant being described as a separate species. This reliance on plant morphology was the approach taken by the 19th and early 20th century botanists. Biosystematics: takes an experimental view of species diversity, of breeding behaviour and relationships, and very much based on collections in the field and the study of ecology, and growing samples in a uniform environment such as the study one of my PhD students, Susan Juned, made of Solanum chacoense, a species from Argentina and Paraguay. Molecular biology: methods have become available in the last couple of decades to analyse the most basic variation in DNA, and helped to refine further how potato taxonomists view the diversity within the tuber-bearing Solanums, and the relationships between species. While these different approaches still do not provide a definitive answer to the question of how many species there are, we know that taxonomists have described and named more than 200 species. To some extent it’s like asking how long is a piece of string. And that helps me to provide an analogy. Take a piece of string. If you were to view this string along its length that, to your vision would be fore-shortened, it would be very difficult to say with any degree of certainty just how long the string actually was. However, if you increase the angle at which you view the string, until you are looking at right angles, your ability to estimate its length also increases. At right angles you can see the whole length, and measure it accurately in many different ways. Taxonomic study is a bit like looking at the string from different angles. Each taxonomist builds on earlier studies, and describing new species or subsuming previously described ones into another species (as merely variants). This is one of the challenges of studying wild potato species: they are highly variable and show considerable phenotypic (or morphological) plasticity. It’s not always possible to study large numbers of plants under uniform conditions to reduce the variation caused by differences in habitats. The 2n=3x=36 chromosomes of a triploid potato, from a root-tip squash in two cells. Furthermore potatoes have considerable chromosomal variation, with a base number of x=12, with diploids (2n=24) the most frequent, and mostly self-incompatible (i.e. they cannot self fertilise), infertile triploids (2n=36, including two cultivated species), tetraploids with 2n=48 (mostly self-fertile, and including the cultivated Solanum tuberosum of world-wide agriculture), some pentaploids (2n=60; including one cultivated form), and a few hexaploids with 2n=72. Wild potatoes are uncommonly promiscuous when grown together under experimental conditions, and will inter-cross readily (they are bee-pollinated), yet hybrids often do not survive beyond the second generation in the wild. Many species are separated by ecology, and generally do not come into contact with each other, thus maintaining their species identity. Nevertheless, this is what makes the study of potatoes and wild species so very interesting, and that captured my interest directly for over two decades, and continues to do so, even though I moved on to the study of other crops like rice and grain legumes. 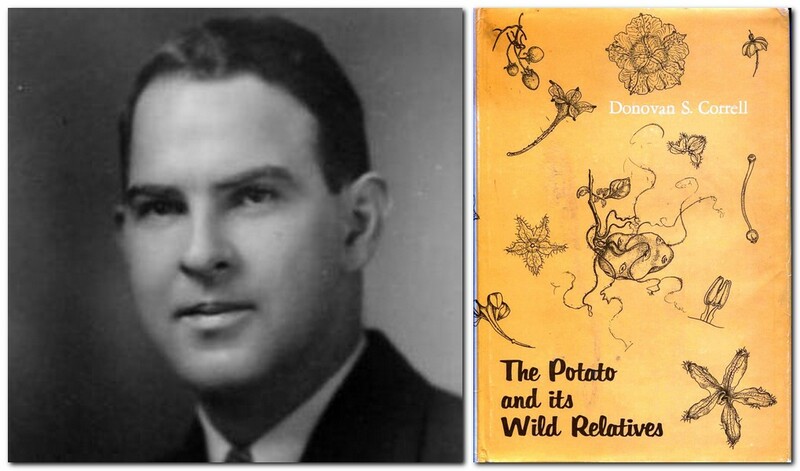 Many botanists have taken an interest in wild potatoes. During the 19th century, the Swiss-French botanist Alphonse de Candolle (d. 1893) named a number of species, as did François Berthault (d. 1916). But the first decades of the 20th century leading up to the Second World War saw a lot of collecting and taxonomic description. In Germany, Friedrich August Georg Bitter, who specialised in the genus Solanum, described and named many species. However, it was the involvement of several Russian botanists and geneticists, under the leadership of Nicolai Vavilov, that saw an expansion in the collection of potatoes throughout the Americas, but a systematic evaluation of this germplasm leading to even more species being described. Two names come to mind, in particular: SM Bukasov and VS Juzepczuk. They were active during the 1920s and 30s, taking part in several missions to South America, and developing further the concept of potato species. But much of their work was based on morphological comparison leading to the identification of even small variants as new species. In August 1938, a young Cambridge graduate, Jack Hawkes, traveled to Leningrad in Russia to meet and discuss with Bukasov and Juzepczuk (and Vavilov himself) in preparation for the 1938-39 British Empire Potato Collecting Expedition to South America (which Jack has described in his 2004 memoir Hunting the Wild Potato in the South American Andes ). A young Jack Hawkes (second from right) stands outside a church near Lake Titicaca in northern Bolivia, alongside expedition leader Edward Balls (second from the left). That collecting expedition, and the subsequent studies (which led to Hawkes being awarded his PhD from the University of Cambridge in 1941 for a thesis Cytogenetic studies on South American potatoes supervised by renowned potato scientist Sir Redcliffe N Salaman), was the launch pad, so to speak, of potato taxonomy research for the rest of the 20th century, in which Hawkes became one of the leading exponents. 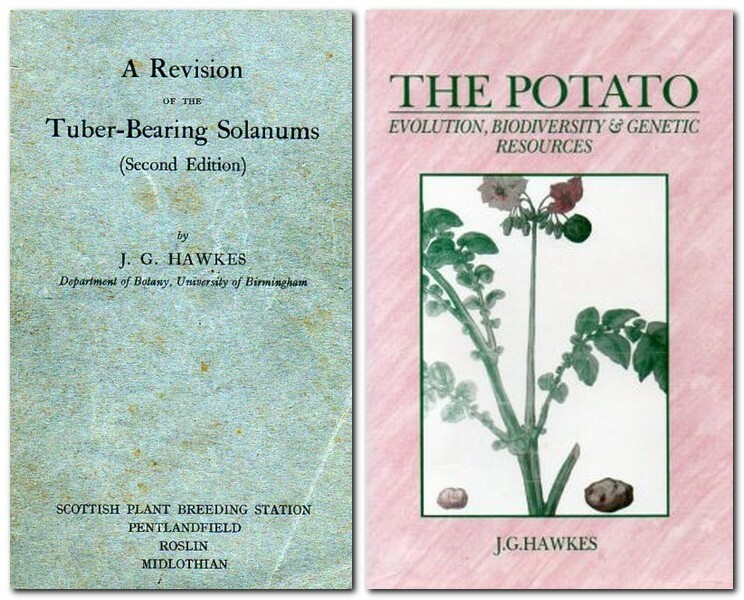 After Cambridge, Hawkes spent some years in Colombia (where he no doubt continued his studies of wild potatoes) but it was on his return to the UK in 1952 when appointed to a lectureship in the Department of Botany at The University of Birmingham (where he was to remain until his retirement in 1982) that his potato studies flourished, leading him to publish in 1956 his first taxonomic revision of the tuber-bearing Solanums (with a second edition appearing in 1963). In 1990, he published his final synopsis of the tuber-bearing Solanums ; that taxonomic treatment is the one followed by the curators of the Commonwealth Potato Collection. Jack’s approach to potato taxonomy was based on a thorough study of morphology backed up by rigorous crossing experiments, and a cytogenetic and sometimes serological evaluation of species relationships. I first met Jack in February 1970 when he interviewed me for a place on his newly-founded MSc course on plant genetic resources, joining the course later that same year. In September 1971 I became one of Jack’s PhD students, joining others who were looking at the origin and evolution of the cultivated species . Donovan S CorrellIn these revisions he was also taking into account the work of US botanist, Donovan S Correll who published his own potato monograph in 1962 , as well as three important South American botanists with whom he would collaborate from time-to-time: Professor César Vargas from the National University of Cuzco; Professor Martín Cárdenas from Cochabamba in Bolivia; and Professor Carlos Ochoa, originally from Cuzco, who was a professor at the Universidad Nacional Agraria (UNA) in La Molina, Lima and, around 1975 or so, joined the International Potato Center across the street from the UNA. L-R: Danish botanist J Peter Hjerting, Martin Cardenas, and Jack Hawkes in Cochabamba. Vargas published a number of species descriptions in the 1950s, but made his most significant contribution in his two part monographs, Las Papas Sudperuanas published in 1949 and 1956. I met Vargas on a couple of occasions, first in January 1973 just after I’d joined CIP as Associate Taxonomist. And a second time in February 1974 when I was passing through Cuzco with Dr Peter Gibbs from the University of St Andrews in Scotland. Peter was making a study of incompatibility among different forms of the Andean tuber crop, oca (Oxalis tuberosa), and had joined me on an excursion to Cuyo-Cuyo in the Department of Puno. Vargas’s daughter Martha was studying for her MSc degree under Peter’s supervision at St Andrews. It was Carlos Ochoa, however, whose studies of potatoes and their relatives rivalled (and in some respects eclipsed) those of Jack Hawkes. They were quite intense taxonomic rivals, with a not-altogether harmonious relationship at times. Carlos certainly played his taxonomic cards very close to his chest. 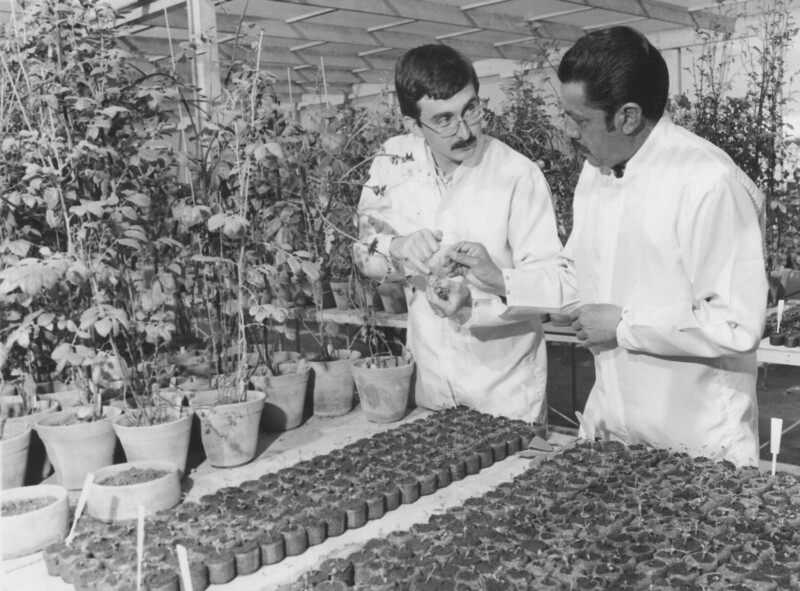 Me consulting with Carlos Ochoa concerning the identity of some triploid potatoes, in one the screenhouses at the International Potato Center in 1974. But the fact that he grew up in the Andes and had, from an early age, taken an interest in the diversity of this quintessential Andean crop and its wild relatives, led him to dedicate his life to uncovering the diversity of potatoes in his homeland. He was also a potato breeder and released some of the most important varieties in Peru, such as Renacimiento, Yungay, and Tomasa Condemayta. In this video (in Spanish, and broadcast on Peruvian TV on his death in 2008) he talks about his early life in Cuzco, the pressures on him to study medicine or become a lawyer, and how he found his true vocation: the study of wild potatoes. Forty-five years ago this week, CIP convened the first planning workshop on the exploration and taxonomy of potatoes , inviting a group of taxonomists and potato breeders to meet in Lima and mull over the ‘state of play’ taking into consideration what taxonomic research had already been accomplished, what was in the pipeline, and what CIP’s germplasm exploration policy (especially in Peru) should be. I attended that meeting (as an observer), having landed in Lima just a few days earlier. On the taxonomic side were Jack Hawkes, Carlos Ochoa, and Donald Ugent who was a ethnobotany professor at Southern Illinois University in Carbondale. Richard Tarn, a potato breeder from Agriculture Canada at Fredericton, New Brinswick, had completed his PhD under Jack’s supervision at Birmingham. Frank Haynes, a professor of genetics and potato breeder at North Carolina State University (and long-time friend and colleague of CIP’s first Director General, Richard Sawyer) and Roger Rowe , then curator of the USDA’s potato collection at Sturgeon Bay (who would join CIP in July 1973 as the Head of Breeding and Genetics, and become my PhD co-supervisor) were the other participants. Workshop participants looking at CIPs germplasm collection in the field at Huancayo (3000 m) in central Peru. L-R: David Baumann (CIP field manager), Frank Haynes, Jack Hawkes, Roger Rowe, and Don Ugent. 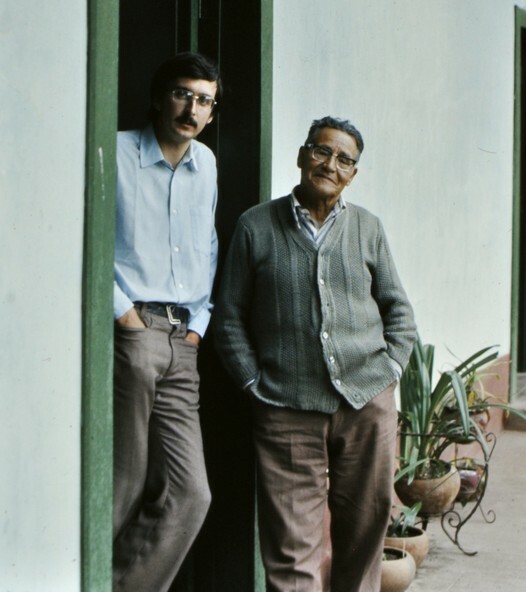 In 1969, Jack had published (with his Danish colleague Peter Hjerting ) a monograph of the potatoes of southern cone countries of South America , and by the time of the CIP 1973 workshop was well into research on the potatoes of Bolivia , leading publication of a monograph in 1989. Peter Hjerting collecting Solanum chacoense in Bolivia in 1980. Standing next to him is Ing. Israel Aviles, a Bolivian member of the expedition. Their driver looks on. What I’ve never been able to fathom after all these years is why Ochoa decided to write his own monograph of the Bolivian species rather than concentrating in the first instance on the Peruvian species. Nevertheless Ochoa did produce his own fine monograph in 1990 , beautifully illustrated with some fine watercolours by CIP plant pathologist Franz Frey. This was followed by an equally magnificent volume on the potatoes of Peru in 2004 , also illustrated by Frey. Throughout his expeditions and research, Ochoa was supported by several assistants, the most notable being Ing. Alberto Salas. Now in his mid-70s, he has been collecting wild potatoes for five decades. I knew Alberto when I first joined CIP in 1973, and it was a delight to meet him again (although he had retired) during my visit to CIP in July 2016. With retirement, Hawkes and Ochoa passed the potato taxonomy baton to a new generation of researchers, principally David Spooner, a USDA scientist at the University of Wisconsin-Madison who made several collecting trips throughout the Americas. David’s research took potato systematics to a new level, employing the developing molecular and genomic approaches, and use of different classes of markers to help him refine his understanding of the diversity of the tuber-bearing Solanums, building of course on the very solid Hawkes and Ochoa foundations. Although no longer working on potatoes (his most recent focus on carrots supported the PhD thesis of Carlos Arbizu, Jr, the son of one of my PhD students at Birmingham in the 1980s), David’s scientific output on potatoes has been prodigious. With molecular insights supporting more traditional methods he has proposed a 50% reduction in the number of potato species from the more than 200 listed in Hawkes’s 1990 publication. Is this the end of the potato taxonomy story? Probably for the time-being. It’s unlikely that anyone will pursue these studies to the same depth as Hawkes and Hjerting, Ochoa, or Spooner. Nevertheless, as the curators of the Commonwealth Potato Collection have done, most potato researchers will take a pragmatic approach and fix on a particular taxonomic treatment on which to base their management or use of germplasm. Taxonomy is one of those disciplines in which subjective interpretations (obviously based on empirical studies of diversity) can lead to contrary classifications. What is a distinct species to one taxonomist may be merely a variant to another. Undoubtedly these different taxonomic treatments of the tuber-bearing Solanums have permitted us to have a much better appreciation of just how long ‘the potato piece of string’ really is. Hawkes, JG & J Francisco-Ortega, 1993. The early history of the potato in Europe. Euphytica 70, 1-7. Hawkes, JG, 2004. 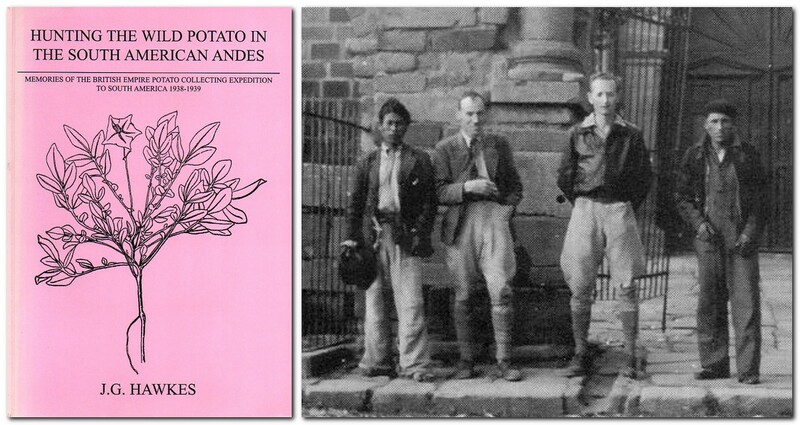 Hunting the Wild Potato in the South American Andes – Memories of the British Empire Potato Collectiing Expedition to South America 1938-1939. Wageningen, the Netherlands. ISBN: 90-901802-4. Hawkes, JG, 1990. The Potato – Evolution, Biodiversity and Genetic Resources. Belhaven Press, London. Since I was working on the origin and evolution of a cultivated species of potato for my PhD, I made only one short collecting trip for wild species with Jack in early 1975, to the Departments of Huanuco, Cerro de Pasco, and Lima. 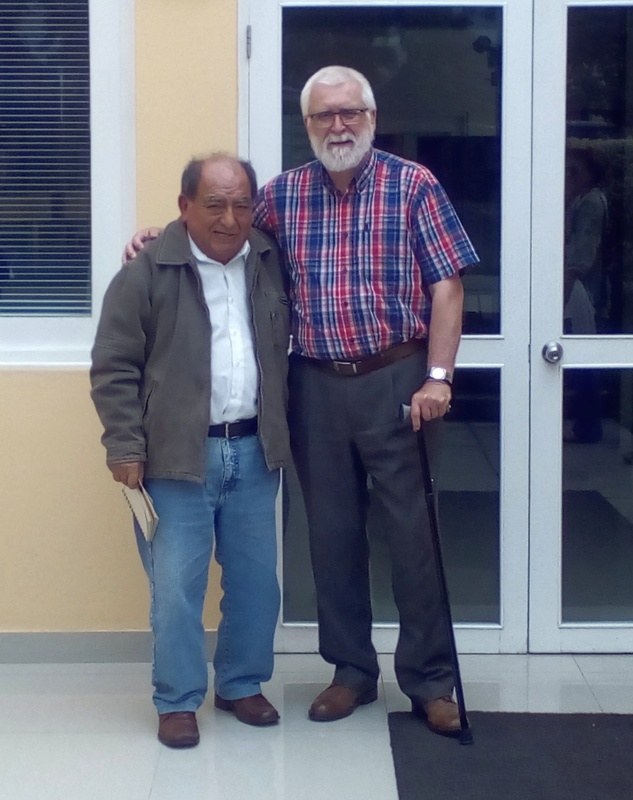 On his trips to Peru between 1973 and 1975 he would join me in the field to look at the germplasm I was studying and give me the benefit of his potato wisdom. Correll, DS, 1962. The Potato and its Wild Relatives. Contributions from the Texas Research Fiundation 4, pp. 606. Texas Research Foundation, Renner, Texas. International Potato Center, 1973. Report of the Workshop on Germplasm Exploration and Taxonomy of Potatoes. Lima, Peru. 35 pp. I’ve kept in touch with Roger and his wife Norma all these years. After I left CIP in 1981, Roger moved to East Africa to work with the animal diseases center that became ILRI after its merger with another CGIAR livestock center in Ethiopia. 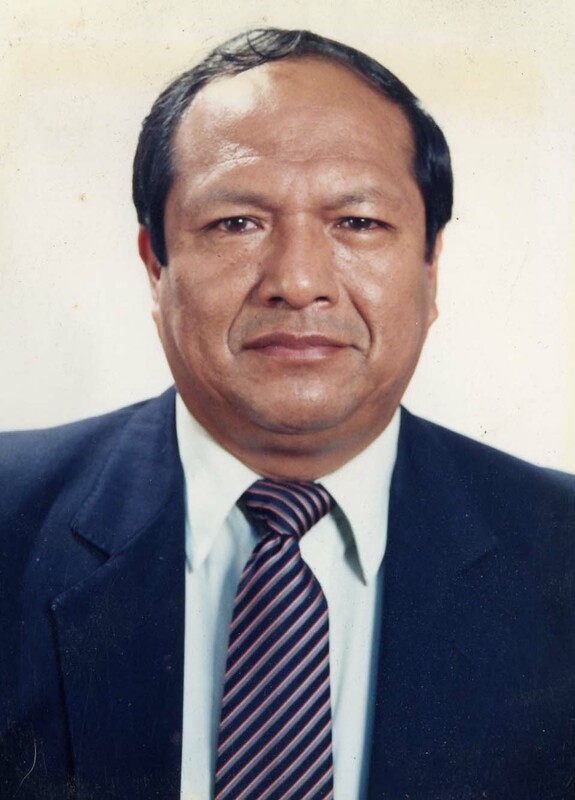 He was DDG-Research at CIMMYT in Mexico in the late 1980s and early 1990s. While I was at IRRI, he was based in Cairo working for the CGIAR center that became WorldFish (with its headquarters in Penang, Malaysia). Before it moved to Malaysia, ICLARM as it then was had its offices in Manila, and we would see Roger in the Philippines from time-to-time. 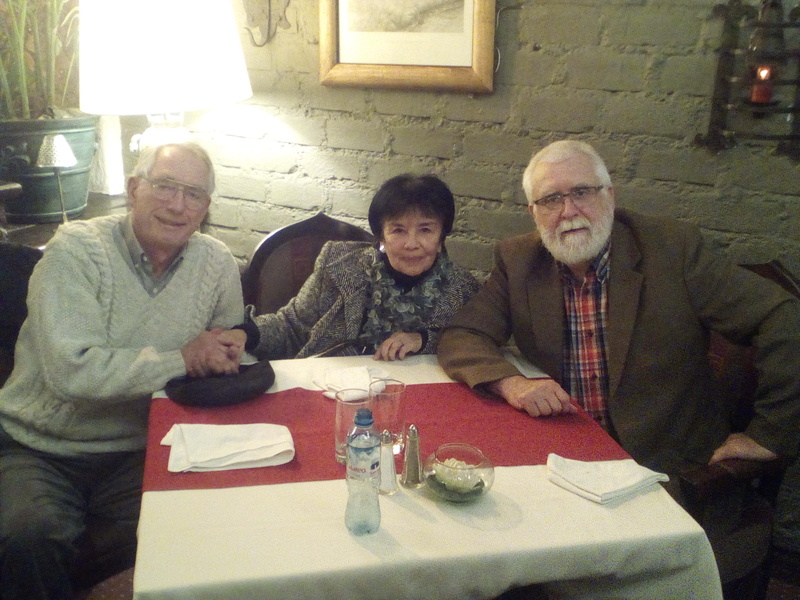 It was great to meet up with Roger and Norma again in July 2016 when I was in Lima for the genebank review that I led. From what I can determine through a Google search, as of January 2018, Peter celebrated his 100th birthday in 2017. He has a Mexican tetraploid (2n=4x=48) species named after him, Solanum hjertingii. When I was at Birmingham in the 1980s I had two PhD students, Lynne Woodwards and Ian Gubb who studied this species because its tubers lack so-called enzymatic blackening, a trait that could be very useful in potato breeding. Hawkes, JG & JP Hjerting, 1969. The Potatoes of Argentina, Brazil, Paraguay, and Uruguay – A Biosystematic Study. Annals of Botany Memoirs No. 3. Clarendon Press, Oxford. Hawkes, JG & JP Hjerting, 1989. The Potatoes of Bolivia – Their Breeding Value and Evolutionary Relationships. Clarendon Press, Oxford. Ochoa, CM, 1990. The Potatoes of South America: Bolivia. Cambridge University Press, Cambridge. Ochoa, CM, 2004. The Potatoes of South America: Peru. International Potato Center, Lima, Peru. It was 40 years ago today . 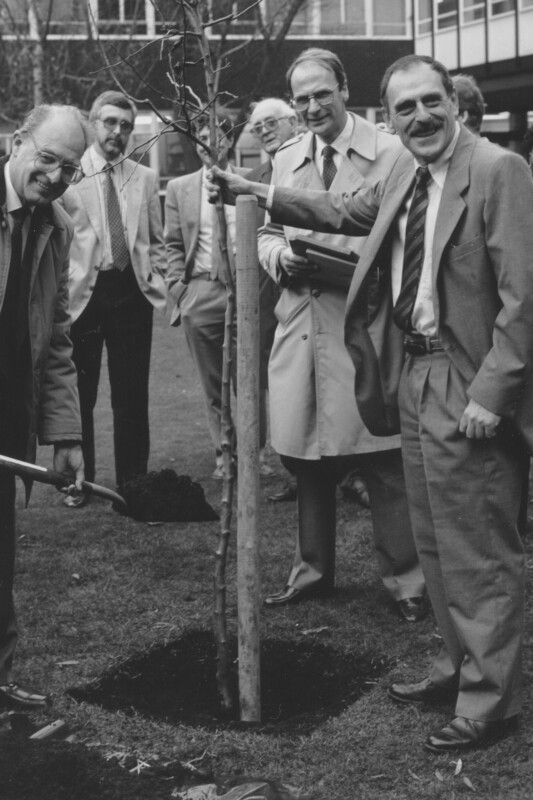 . .
One evening in February 1971 I received a phone call from Professor Jack Hawkes who was head of the Department of Botany at the University of Birmingham, and Course Director for the MSc on Conservation and Utilization of Plant Genetic Resources. I’d begun my studies at Birmingham in September 1970 after graduating some months earlier from the University of Southampton with a BSc in environmental botany and geography. He asked me if I was interested in working in Peru for a year. Well, it had been my ambition for many years to visit Peru, and here was my chance. Jack was a world-renowned authority on the potato, its taxonomy and origins in the Andes of South America. And on the day that he phoned me, he had just returned from a two month expedition to Bolivia to collect samples of wild potato species. He had been joined on that expedition by his close collaborator from Denmark, Dr Peter Hjerting, and one of his PhD students, Phillip Cribb (who went on to become an orchid expert at the Royal Botanic Gardens – Kew). 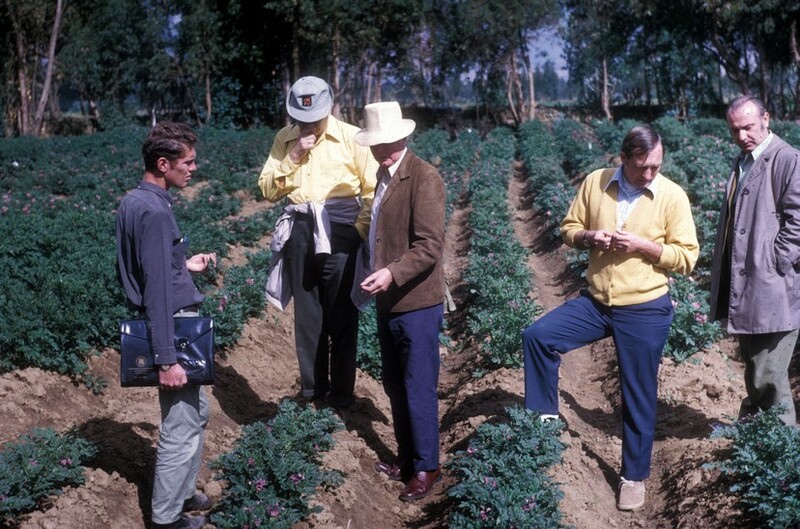 The expedition also received logistical support from the North Carolina State University-Peru USAID project, led at that time by Dr Richard Sawyer who would go on to found and become the first Director General of the International Potato Center (CIP) in October 1971. While in Lima at the start and end of the expedition, Jack has stayed with Richard and his wife Norma. Richard talked of his vision to found CIP, and that he wanted to send a young Peruvian to study on the MSc course at Birmingham. That was Zosimo Huaman, who would go on to complete his PhD with Jack, and stay with CIP for the next 20 or more years. 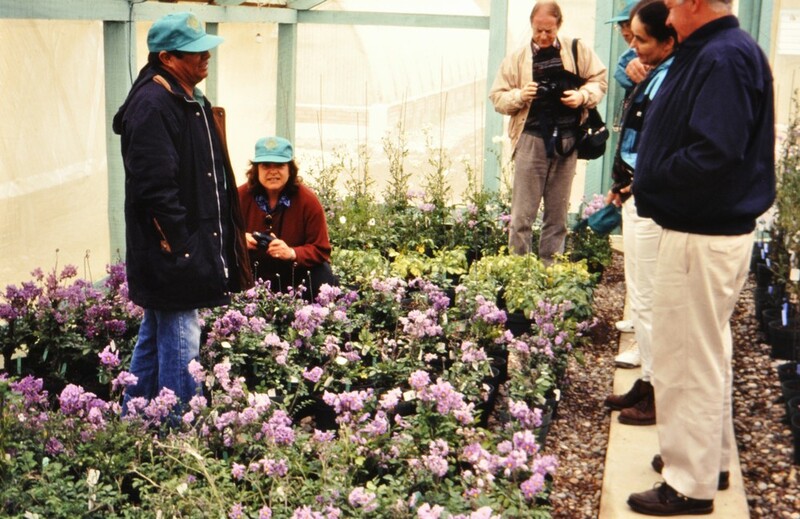 Zosimo was helping to manage a collection of native varieties of potato from Peru that the USAID project had taken over, and which would pass to CIP once that institute was open for business. But if Zosimo went off to the UK, who would look after the potato collection? Richard asked Jack if he knew of anyone from Birmingham who might be interested in going out to Peru, just for a year, while Zosimo was completing his master’s studies. ‘I think I know just the person’, was Jack’s reply. And that’s how Jack came to phone me that February evening over 40 years ago. There was the question of funding to support my year-long appointment, and Richard Sawyer was hoping that the British government, through the then Overseas Development Administration (now the Department for International Development – DfID) might cough up the support. The intention was for me to complete my MSc and fly out to Peru in September 1971. In the event, however, my departure was delayed until January 1973. By February 1971, an initiative was already under way that would lead to the formation of the Consultative Group on International Agricultural Research (CGIAR) later that same year, and the ODA was contemplating two issues: whether to join the CGIAR, and whether to fund a position at CIP on a bilateral basis, or on a multilateral basis if it became a member of the CGIAR. But that decision would not be made before my expected move to Peru in September. 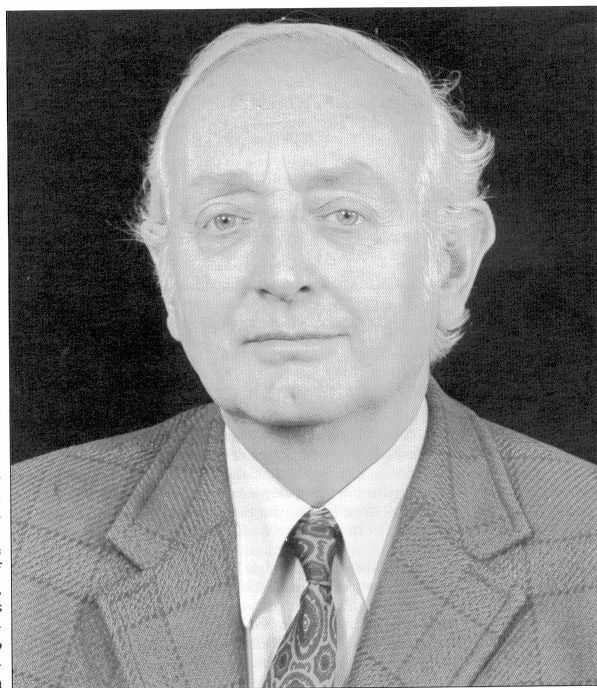 At what became a pivotal meeting in London in mid-1971, Jack argued – convincingly as it turned out – that he’d identified a suitable candidate, me, to join CIP’s genetic resources program, and that if some funding support was not found quickly, I’d likely find a job elsewhere. And so ODA agreed to support me at Birmingham on a Junior Research Fellowship for 15 months until December 1972, and that if negotiations to join the CGIAR went smoothly, I could expect to join CIP in January 1973. In the interim, Richard Sawyer did come through Birmingham and I had the chance to meet him, and for him to give me the once over. 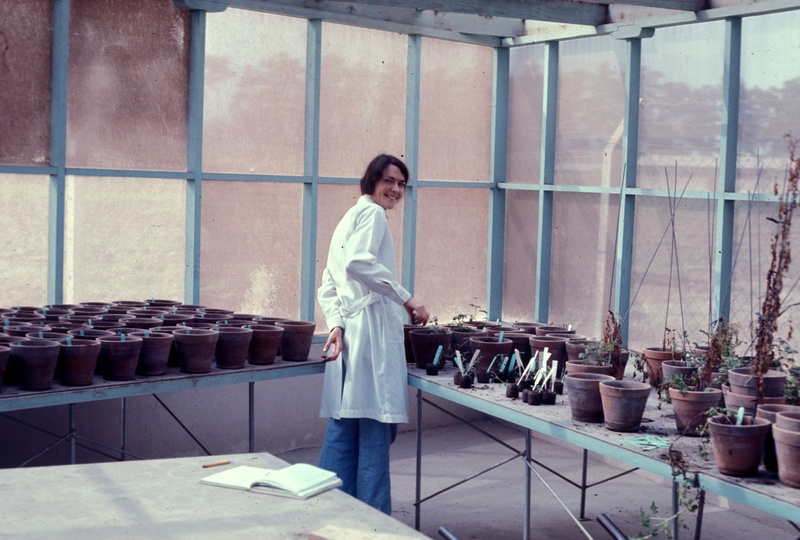 All seemed set for a January 1973 move to Peru, and I settled down to begin a PhD study under Jack’s supervision, working on the group of triploid potatoes known as Solanum x chaucha. Although I went on to the CIP payroll on 1 January 1973, I didn’t fly out to Peru until the 4th (a Thursday). After spending Christmas with my parents in Leek, then a couple of days in London with my girlfriend Stephanie (who joined me in Peru in July 1973, where we were married in October, and she joined CIP’s staff as well) I spent a couple of nights in Birmingham with Jack and his wife Barbara before we set out on the long journey to Lima. In those days, the ‘direct’ route to Peru from the UK was with BOAC from London-Heathrow, with three intermediate stops: in St John’s, Antigua in the Caribbean; in Caracas, Venezuela; and finally in Bogotá, Colombia. We finally arrived in Lima late at night, were met at Jorge Chavez airport by plant pathologist Ed French, and whisked off to our respective lodgings: me to the Pension Beech on Los Libertadores in the San Isidro district of Lima, and Jack to stay with the Sawyers. Thus began my association with CIP – for the next eight and a half years (I moved to Costa Rica in April 1976), and with the CGIAR until my retirement in 2010. After CIP I returned to the UK to teach at the University of Birmingham. By then, many of the overseas MSc students were being supported by another of the CGIAR institutes, the International Board for Plant Genetic Resources, IBPGR (later to become the International Plant Genetic Resources Institute, IPGRI, then Bioversity International) based in Rome. A former Birmingham faculty member, Dr Trevor Williams (who had supervised my master’s thesis) was the first Director General of IBPGR. I maintained my links with CIP, and for a number of years had a joint research project with it and the Plant Breeding Institute in Cambridge on true potato seed. I also took part in a very detailed project review for CIP in about 1988. In 1991 I joined the International Rice Research Institute (IRRI) in the Philippines, which was founded in 1960, and is the oldest of the 15 centers that are part of the CGIAR Consortium. I was head of IRRI’s Genetic Resources Center for 10 years, followed by almost nine as Director for Program Planning and Communications. The CGIAR gave me a great career. I was able to work for excellent scientific research organizations that had noble goals to reduce rural poverty, increase food security, ensure better nutrition and health, and manage resources sustainably. As a small cog in a big wheel it’s hard to fathom what contribution you might be making. But I often thought that if people were going to bed less hungry each night, then we were making a difference. This does not diminish the scale of the continuing problems of poverty and food security problems in the developing world, which are all-too-often exacerbated by civil strife and conflict in some of the most vulnerable societies. Nevertheless, I feel privileged to have played my part, however small. It was my work with the CGIAR that led to my appointment as an OBE by HM The Queen in 2012, for services to international food science. Standing on Vavilov’s shoulders . . .
Nikolai Ivanovich Vavilov (1887-1943). Not a name familiar to many people. Vavilov is, however, one of my scientific heroes. Until I began graduate school in September 1970, when I joined the MSc course at the University of Birmingham on Conservation and Utilization of Plant Genetic Resources, I’d never even heard of him. In fact, looking back, I’m rather surprised that his name didn’t crop up once during my undergraduate years. I’d been encouraged to apply for a place on the Birmingham course by a lecturer in genetics at Southampton University, Dr Joe Smartt. But Vavilov and his work was not on the curriculum of botany courses that I took. In preparation for Birmingham, I’d been advised to purchase and absorb a book that was published earlier that year, edited by Sir Otto Frankel and Erna Bennett  on genetic resources, and dedicated to NI Vavilov. And I came across Vavilov’s name for the first time in the first line of the Preface written by Frankel, and in the first chapter on Genetic resources by Frankel and Bennett. I should state that this was at the beginning of the genetic resources movement, a term coined by Frankel and Bennett at the end of the 60s when they had mobilized efforts to collect and conserve the wealth of diversity of crop varieties (and their wild relatives) – often referred to as landraces – grown all around the world, but were in danger of being lost as newly-bred varieties were adopted by farmers. The so-called Green Revolution had begun to accelerate the replacement of the landrace varieties, particularly among cereals like wheat and rice. Thus began my fascination with Vavilov’s work, and a career in genetic resources in a broad sense that was to last 40 years until my retirement in 2010. Vavilov was a botanist, geneticist and plant breeder who rose to the top of agricultural research in the Soviet Union who, through his many expeditions around the world (described in the book Five Continents , published posthumously in English in 1997) assembled a vast array of diversity in many crop species. Vavilov developed two seminal theories of crop evolution, which have influenced the science of genetic resources ever since. The first was his Centers of Diversity and Origin, in which he stated that “the place of origin of a species of a cultivated plant is to be found in the area which contains the largest number of genetic varieties of this plant.” While we now appreciate that this was an oversimplification, his ideas about the origin of crop diversity have been the foundation for much of the genetic resources exploration carried out in subsequent decades. The second was his Law of Homologous Series in the Case of Variation, published in Russian in 1920 and in English in 1922. I applied this concept in my search for pest resistance in wild potatoes, which I presented at a Symposium organized by the Linnean Society of London and the Institute of Archaeology, University College, London in 1987 to celebrate the centenary of Vavilov’s birth . Vavilov died of starvation in prison at the relatively young age of 55, following persecution under Stalin through the shenanigans of the charlatan Trofim Lysenko. Lysenko’s legacy also included the rejection of Mendelian genetics in the Soviet Union for many years. 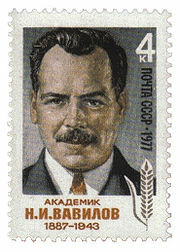 Eventually Vavilov was rehabilitated, long after his death, and he was commemorated on postage stamps at the time of his centennial. Although never having the privilege of knowing Vavilov, I do feel that I met him vicariously through three people I have known, who did meet him, and I worked with two of these for many years. 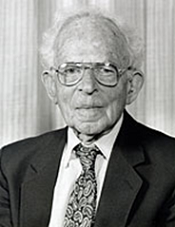 First, Sir Otto Frankel FRS, who I first met at a genetic resources meeting in Jakarta in the mid-80s, was an eminent wheat breeder and geneticist, and one of the founders of the genetic resources movement. Originally from Austria, he had escaped before the Nazis came to power, and moved to New Zealand and Australia afterwards. Frankel visited Vavilov in Leningrad (now St Petersburg again) in 1935. Jack Hawkes, Mason Professor of Botany at the University of Birmingham and my PhD supervisor, travelled to Leningrad in 1938 to consult with Vavilov’s colleague, SM Bukasov, about the potatoes he had collected in South America. He wrote about his meeting with Vavilov, which he presented at the Vavilov Symposium referred to above . 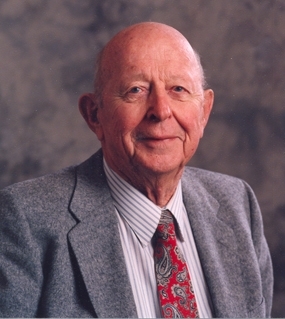 John S Niederhauser was an eminent plant pathologist who spent many years researching the potato late blight fungus in Mexico. He was awarded the World Food Prize in 1990. I worked for several years with John in the 1970s when I was regional leader for the International Potato Center in Costa Rica, and we were developing and implementing what turned out to be the first consortium, PRECODEPA (Cooperative Regional Potato Program – in four Central American countries, Mexico and the Dominican Republic), of the Consultative Group on International Agricultural Research (CGIAR). As a young man of about 17, so John told me, he’d asked a travel agent how far he would be able to travel (return) from San Francisco with the money he had available: Leningrad was the destination. Walking around a research garden there one day, he was approached by a kindly gentleman – Vavilov as it turned out – who offered him the chance to work for a few weeks harvesting germplasm evaluation trials on one of his institute’s research stations in the Soviet southeast. 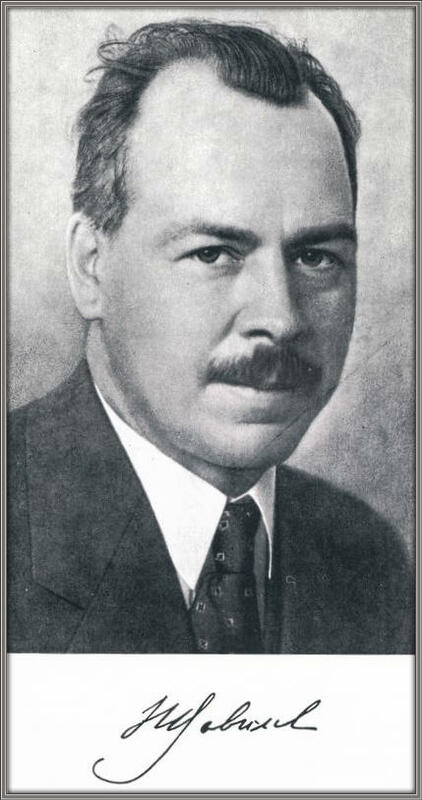 What all three emphasised – in their writings or related to me personally – was Vavilov’s friendliness, generosity of spirit, his boundless energy, and above all, his humanity, and that he treated everyone as an equal, even young persons as Hawkes and Niederhauser were when they met him. Vavilov’s legacy endures. He is recognized as one of the giants of 20th century biology. And he has been an inspiration for countless students of genetic resources conservation and use. 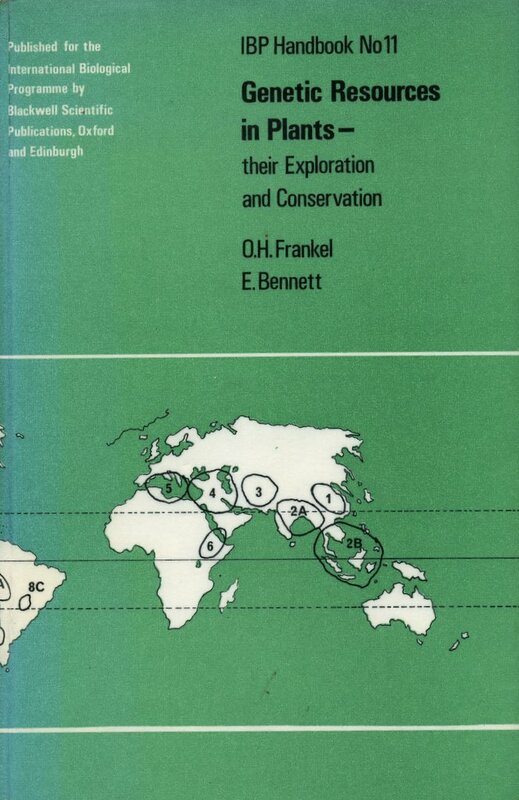 Frankel, OH & E Bennett (eds), 1970. Genetic Resources in Plants – their Exploration and Conservation. IBP Handbook No 11. International Biological Programme, London and Blackwell Scientific Publications, Oxford and Edinburgh. pp. 554. SBN 632 05730 0. Vavilov, NI, 1997. Five Continents. International Plant Genetic Resources Institute, Rome, Italy. pp. 198. ISBN 92-9043-302-7. Jackson, MT, 1990. Vavilov’s Law of Homologous Series – is it relevant to potatoes? Biological Journal of the Linnean Society 39, 17-25. Hawkes, JG, 1990. NI Vavilov – the man and his work. Biological Journal of the Linnean Society 39, 3-6.